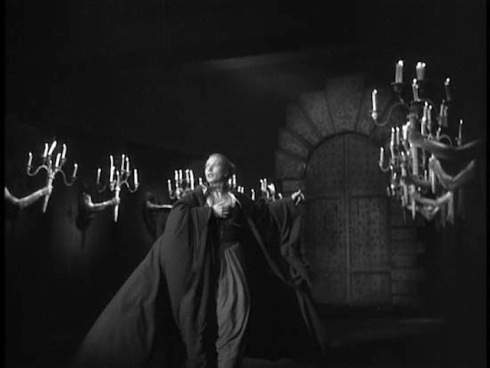 BEAUTY AND THE BEAST (LA BELLE ET LA BÊTE) (1946); Dir. Jean Cocteau; Starring Jean Marais and Josette Day; Tuesday, April 7 @ 7:00 p.m.; Landmark Midtown Art Cinema; Trailer here. 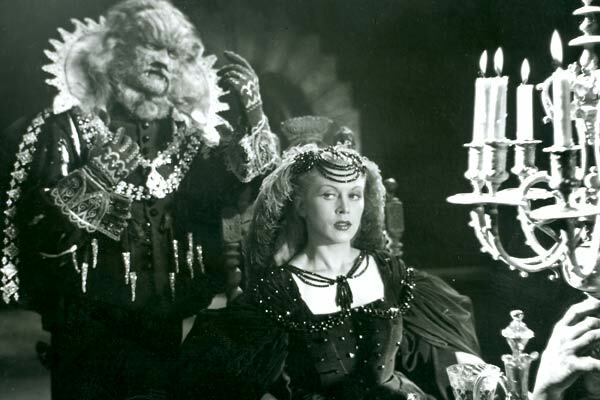 As part of their Midtown Cinema Classics series, the Landmark Midtown Art Cinema is bringing one of the greatest works of filmed fantasy to the big screen in a stunning new digital restoration: Jean Cocteau’s immortal BEAUTY AND THE BEAST. Painter, poet, novelist, designer, filmmaker: all these and more were the simultaneous identities of Jean Cocteau, an artist so brilliant that one medium could not contain the full range of his talent. And much like the man himself, the handful of films he created transcend any categorization or pigeonholing. They are poems written in light and shadow; full of visionary imagery and drawing from painterly influences to create moving works of art that continue to resonate through the years. His films are bountiful feasts that fill your plate every time you return to the table. And while this is particularly true of his Orphic trilogy (THE BLOOD OF A POET, ORPHEUS and TESTAMENT OF ORPHEUS), those films—as great as they are—stand in the shadow of his singular masterpiece, LA BELLE ET LA BÊTE, or BEAUTY AND THE BEAST. I’ll spare you a detailed plot summary. It’s a tale that has been told and retold so often that it has become part of our collective genetic memory at this point. 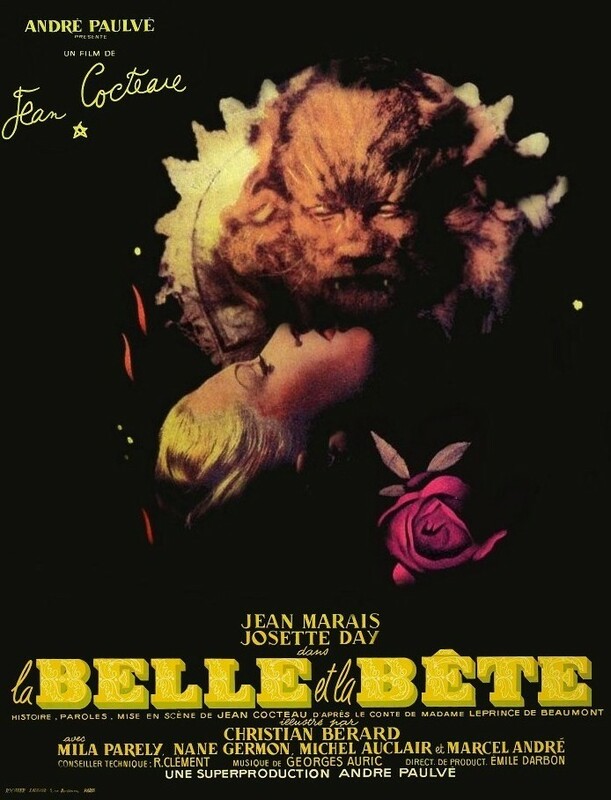 The lovely Belle is forced to live in the kingdom of the cursed Beast to repay the actions of her father (he steals a rose from Beast’s garden). Beast falls in love with Belle, and proposes to her on a nightly basis; each night, she refuses, though she becomes more and more drawn to him over time. Their growing feelings are tested when he allows her to return to her home for a week and informs her that if she doesn’t return after those seven days, he will die of grief. However, she is unaware of the plans her scheming siblings and her previously intended beau Avenant have drawn up to ensnare Beast’s fortune while Belle is away. Cocteau implores us in the film’s opening to view his adaption of the classic fairy tale with the eyes of a child. To let ourselves be carried away by the irrational and the dreamlike, rather than impose the hard-and-fast logic of the adult workaday world onto our experience. And with those eyes open, we are treated to a darkly magical manifestation of the fantastic. An atmosphere of love and loss hangs over the film like an embrace both heartfelt and sorrowful. Living faces peer from mantelpieces, human arms bear the torches that light a hallway, food serves itself for dinner. Meanwhile, as in a dream, details are introduced and suddenly abandoned: Beast’s five items of power (a rose, a horse, the key to his pavilion, a glove and a mirror) are vital objects in the story, yet when they are lost or stolen after their purpose has been established, we do not revisit them. And, much as in any fairy tale told to a child, the implications of sexual tension are sublimated and find abstract release in symbols. Belle indicates her growing acceptance of Beast by allowing him to sup water from her cupped hands. Beast’s source of power is tied inexorably to the feminine: his pavilion dedicated to the Greek goddess Diana. A strike from Diana’s arrow transforms the loutish Avenant into another Beast, revealing the savage nature that lies beneath the veneer of the handsome gentleman. And it’s another feminine power that redeems our Beast and turns him back into Prince Ardent: the transformative effects of Belle’s acceptance and love. We can well imagine that Beauty may long miss—and may spend many days attempting to uncover remnants of—that beautiful Beast with whom she first fell in love. Come. Accept the Beast’s invitation. Cast off the grind of the harsh realm of adult reality, look upon this film with the eyes of a child, and be swept away by the pure, dark, sublimely gothic bliss of the fantastique. There are few things in the world that compare.